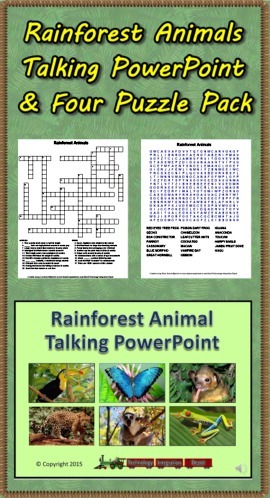 Turn down the lights and turn up the volume for the Rainforest Animals Talking PowerPoint! This slideshow highlights 48 found in the rainforest. Each slide is narrated so students can progress through the presentation in a computer lab setting. Ideal for introducing topics children can select for further study. Also included are two crossword puzzles and two word searches basic upon facts found in the presentation. Answer sheets are included. Enjoy! Get a little wet and dirty with a field trip to learn about the wetlands. Identify the plants and animals located in the wetlands and determine their food chain classification. 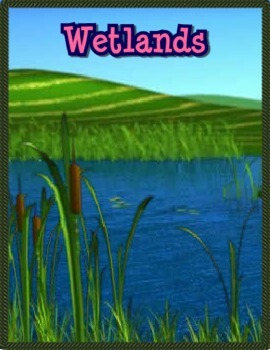 Learn to identify the frog populations’ four distinct species both visually and vocally, and what they mean to the wetlands in this fun game for kids. 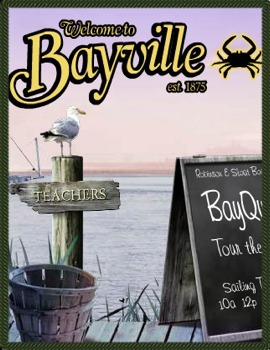 Bayville is a web site for middle grade students studying the plants and animals, ecology, and the environment. This site uses the focus of the Chesapeake Bay to examine issues related to these science subjects.